For decades, it has felt like Milwaukee and Madison are separated by much more than 80 miles of highway and fields. The divide between Wisconsin’s two biggest cities—economically, culturally, and psychologically—has at times felt impossible to bridge. It’s a dynamic that’s not unique to Wisconsin (the relationship between Colorado’s Denver and Boulder comes to mind): how does the state’s largest metropolitan area and economic engine (Milwaukee, in this case) interact with a smaller city (Madison) that is home to a top-notch research university and all the innovative ideas that come from it? Cultural differences and attitudes won’t shift overnight, but there are efforts popping up, although small, to better align the two cities’ economies. Entrepreneurial groups, for example, have hopped on buses from Madison to Milwaukee and vice versa to interact more with peers in other cities. And today, the head of the state’s flagship university, University of Wisconsin-Madison chancellor Rebecca Blank, spoke to a group of Milwaukee-area business leaders and investors about how she wants to find more ways for companies and educational institutions in Milwaukee and Madison to work together. Wisconsin’s economic future depends on it, Blank argued during the luncheon in Wauwatosa hosted by the Wisconsin Innovation Network, an arm of the Madison-based Wisconsin Technology Council. She assumed her post in July 2013, after serving as acting U.S. commerce secretary under President Barack Obama. Blank (pictured left) was scheduled to spend a couple of days in the Milwaukee area touring businesses and research centers, including GE Healthcare’s local operations, the University of Wisconsin-Milwaukee School of Freshwater Sciences, and the Global Water Center. During her speech, Blank highlighted examples of UW-Madison partnerships with Milwaukee businesses and educational institutions, including an advanced battery research project with Johnson Controls and UW-Milwaukee. She wants to form more of those types of collaborations. “They are absolutely critical, those types of partnerships, for growing the state’s economy,” she said. 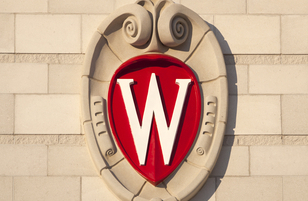 Another central piece of her agenda at UW-Madison: boosting tech transfer. To that end, the university announced in November a new initiative called Discovery to Product, or D2P, which is charged with shepherding the most promising campus ideas to the point of licensing the technology or forming a company. D2P was started because UW-Madison consistently ranks among the top-spending schools for research, but administrators think it needs to hike up its number of annual licensing agreements (currently about 50) and spinout companies (around five). Blank isn’t the only head of a major research university making tech transfer and university spinouts a priority. Xconomy Seattle’s Benjamin Romano has shed light on the challenges for University of Washington president Michael Young and his school’s Center For Commercialization, which is trying to fund commercialization efforts during a time of shrinking state dollars for higher education, resistance to tuition increases, and the loss of millions in annual revenue from a crucial university technology license that went off patent this year. Many schools around the country have struggled to achieve success with tech transfer, Blank said, and university leaders realize they need to get more creative now to successfully commercialize campus innovations, especially in light of cuts to federal research dollars. Other countries’ governments are investing more in research, and “we’re shrinking—and that’s a problem,” Blank said. The consequences will be visible 10 or 15 years from now, when American businesses are less competitive, she added. Time will tell if UW-Madison research commercialization efforts like D2P are successful, but “that rate of success is going to be higher than if” faculty researchers and students “were just out there on their own,” Blank said.